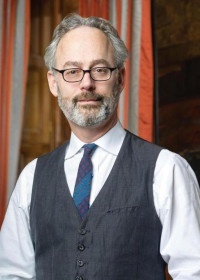 Born in 1964, Amor Towles was raised in a suburb of Boston, Massachusetts. He graduated from Yale College and received an M.A. in English from Stanford University where he was a Scowcroft Fellow. From 1991-2012, he worked as an investment professional in New York. He continues to live in Manhattan with his wife and two children and serves on the boards of the Library of America and the Yale Art Gallery. Mr. Towles is an ardent fan of early 20th century painting, 1950’s jazz, 1970’s cop shows, rock & roll on vinyl, manifestoes, breakfast pastries, pasta, liquor, snow-days, Tuscany, Provence, Disneyland, Hollywood, the cast of Casablanca, 007, Captain Kirk, Bob Dylan (early, mid, and late phases), the wee hours, card games, cafés, and the cookies made by both of his grandmothers. His novel, Rules of Civility, was published by Viking/Penguin in July 2011 and reached the bestseller lists of The New York Times, the Boston Globe and Los Angeles Times. The book was rated by The Wall Street Journal as one of the ten best works of fiction in 2011. The book’s French translation received the 2012 Prix Fitzgerald. The book is being published in 15 languages. Mr. Towles’s only other published work is a short story cycle called “The Temptations of Pleasure” published in 1989 in Paris Review 112.